Trip back to The Rock planned for anniversary. Family of two brothers who escaped Alcatraz are planning to return for the 50th anniversary. In 1958, John and Clarence Anglin, two brothers, robbed a Columbia, Alabama bank with toy guns. A few days later, they were captured in Cincinnati. They were then sentenced to 35 years at Alcatraz. On June 11, 1962, the brothers escaped and either drown or are still be on the run today. 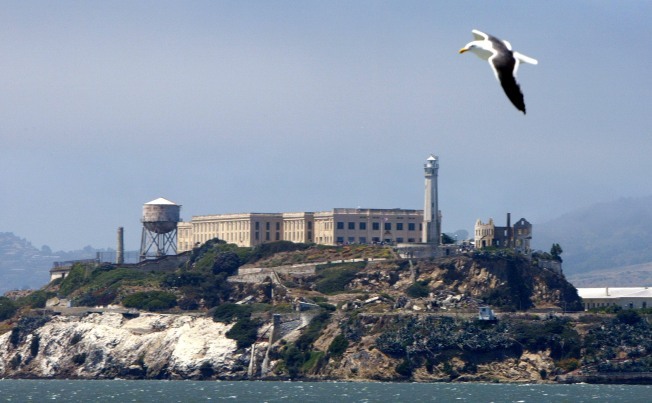 For the 50th anniversary of Alcatraz, Lee County, GA resident Marie Anglin Widner - sister to Clarence and John - along with her sons are planning a trip to San Francisco to visit the famed prison, where they will honor their escapee kin, reports WALB. Contrary to reports, Marie says her brothers did not die during the escape. "We know they are OK," she said. "The only reason they put them in Alcatraz was because they could not keep them anywhere else they put them. They kept getting away. Getting away," she continued. Marie's sons David and Ken recall FBI visits to the house and bugged phone lines. They said the Feds have stopped by as recently as months ago. The family is hoping to convince the government to return some of the brothers' items. John and Clarence would be in their 80s today. If the brothers survived the swim, they would be the only people to successfully escape The Rock.